In the early 1980’s Richard Stallman founded the Free Software Foundation: a socio-technological movement that revolutionized the software world. Stallman and Tim O’Reilly – a pioneer of Open Source – tell the story. I want to kick this off with a confession: Richard Stallman has always been one of my heroes! Richard Matthew Stallman, also known as RMS, is considered one of the greatest hackers in computer history. The software he wrote in the 1970s is still being used in the present day. On the big screen, when we see a bearded hacker who spends his nights by his computer and sleeping on a bed next to it during the day – we’re actually looking at the mythological figure of Stallman, With his untidy beard and his long grayish hair. He was partly an inspiration for this cliché. Stallman is also regarded as the father of the Open Source movement, a social-technological phenomenon that inspired the creation of many of the programs we use daily: the Android operating system, WordPress, the Firefox browser and many many others. By the way, Stallman very much doesn’t like to be called “the father of the Open Source movement.” We’ll get to that later in the show. When I decided to write an entire episode about the history of the Open Source movement, I also took the opportunity to make an old dream come true by interviewing Richard Stallman himself. This interview – how should I put it – didn’t go as I had expected it. The conversation with him made me doubt a few of the premises regarding the world of technology, while illuminating sides of his personality that I never knew about. Richard Stallman was born in the US in 1953. Even as a child, he demonstrated an anti-establishment attitude and rebelliousness. His behavioral problems made him switch schools every now and then, and that left him, socially, as a bit of an outsider among children his age. He even admits that he never learned how to get along properly with other people. Computers, though, were a completely different story. Believe it or not, as an elementary student, Stallman read computer manuals and wrote software. Of course, it was the 1950s and 60s, days when computer access was a rare privilege – so the software he wrote was all on paper. Only in high school did he actually get to SEE a real computer, but at that point, he already knew computers much better than most teenagers. To say that Richard Stallman is a brilliant person is an understatement. He studied physics at Harvard. Although he enjoyed the classes, there was one thing that upset him greatly. There weren’t many computer terminals in Harvard back then, and students were desperate for any computer time they could get. Many professors held computer terminals inside their offices – but they would often lock the doors at night. It was a huge waste: the terminals went unused for many hours, like precious electronic stones – while outside there were those who really, really wanted to use them. Not far from Harvard is MIT, the world famous technological university. During his studies at Harvard, Stallman visited the MIT Artificial Intelligence Laboratory – where he witnessed a completely different attitude. At MIT, computer terminals were considered a common resource, and no one had a direct and distinct ownership over their machines. If one of the professors kept a computer terminal in his office and dared to lock the door behind him – the students would literally break open the door – sometimes with makeshift battering rams – and take the computer. The Artificial Intelligence Laboratory was the home for many young students who were passionate about technology. At the time they were known as “hackers”, although the term had a slightly different meaning compared to today: Back then, “hackers” were those who liked to research deeply into the guts of any system and change it. It certainly did not have the negative connotation it holds today, of someone who steals information or does damage. The hackers of the Artificial Intelligence Laboratory wanted to create interesting things using the tools they had, and they did not have any tolerance or patience towards those who tried to restrain them. For Stallman, this was love at first sight – and he quickly joined the lab. Life at the Artificial Intelligence Laboratory was intense. The professors and their students used the lab during the day, and as soon as they left, the hackers took over and worked all night. They ordered Chinese food at three a.m. and continued working on their software until dropping onto folding beds to catch some sleep. Together with other programmers, Stallman developed software and ideas that are considered to be milestones in the history of modern technology. For example, he created an important algorithm for the artificial intelligence field, and a hugely popular text editor named Emacs. Stallman loved every minute at the lab. When he graduated from Harvard – making the Dean’s list, of course – he registered for his master’s degree at MIT, mainly so he could continue working at the lab. He was enchanted by the comradery and the spirit of cooperation; the lab was a place where people worked together for a common cause and for the good of the public. But this ideal environment didn’t last forever, and MIT’s Artificial Intelligence Laboratory was a victim of its own success. The majority of computer users during the 1950s and 60’s were from the academic world and they were used to sharing ideas – and software – with each other. But during the late 1970s, when computers began spreading in the business sector, many new companies developed proprietary software for industrial needs, and it was only natural that these companies offered their software to customers in exchange for a payment, instead of giving them away free. This signaled an end to the culture of free software exchange. These companies also offered very high salaries to the MIT hackers, whose talents were now in high demand. Within several years the MIT Artificial Intelligence Laboratory became empty. Not physically, of course – professors and their students still used the facility, but the anarchist hackers were nowhere in sight. Even though Richard Stallman stayed at the lab, he soon realized that the spirit of the place had changed. The remaining programmers weren’t as thrilled to share knowledge and creative solutions with each other. In the brave new business world, knowledge was power. Knowledge was money. The high-quality software that programmers used to write for their own common use at the lab was replaced by mediocre and proprietary software; and as for reading other people’s e-mails, that was simply out of the question. In the programming world, the word “sharing” has a deeper and more complex meaning than its daily use among the public. I’ll explain. Let’s assume that I am a chef at a restaurant. Tonight I’m making a wonderful dish of spaghetti Bolognese – my mother’s legendary recipe… I serve the dish to the table, and my guests simply cannot get enough of my spaghetti. You could say that I “shared” the dish with my guests – but that wouldn’t be completely true: I shared the dish, but I didn’t share the recipe. By not telling them how I made the spaghetti – I am preventing them from trying to make it themselves. Only by sharing my secret recipe will I give them something more meaningful than a delicious bowl of pasta; only by sharing the idea of spaghetti Bolognese and my mother’s special way of making it can they hope to recreate my dish, alter it, and create a new, perhaps even more delicious, dish than mine. In the programming world, this ‘recipe’ is called the ‘Source Code’: it is the specific list of instructions that the programmer created for the processor to execute. These instructions are then transformed, via a special process, to a regular software that we, the users, are familiar with. A game, for example, starts out as a long list of instructions. I can share with someone a copy of a game I wrote – just as sharing a dish of pasta – but only when I share the source code will it be considered “full sharing.” A programmer that will get access to my source code could understand the techniques and ideas I used, learn from them, and perhaps create a new and improved version of the game. But that, of course, is exactly the reason why business companies refuse to share their software’s source code. A program’s source code is often considered to be a top industrial secret and is closely guarded, since what game company would want its competitors to develop an improved version of its game? Stallman knew that the key to creating a community of programmers, all sharing the same passion for technology and the will to contribute to a common cause, is by creating an environment of full cooperation, without secrets or restraints: meaning, the programmers needed to share the source code they are writing. In other words, this is exactly the difference between a group of people eating prepared food and having a not-so-interesting-conversation, to a group of chefs standing around the kitchen table, and passionately debating whether rosemary should be added to the dish, or rather oregano. Together they will create a wonderful and unique dish that otherwise would not have existed. An operating system is a vital instrument in the process of creating new software; it is the foundation on which a software operates – just the same as roads, signs, and stoplights are the foundation of transportation. The most common and popular operating system at the time was Unix, and the majority of programmers were familiar with it. Unix was owned by AT&T, and whoever wanted to use it had to pay the company. Stallman wanted to create an operating system that was similar to Unix – but one that was free, that is – not proprietary. In 1983 he released a statement in one of the online discussion groups and announced his new project: the GNU project – an endeavor to create a new, modern, operating system. 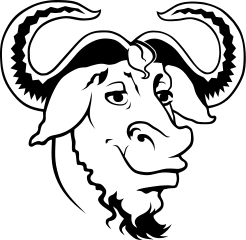 The acronym GNU stands for: GNU is Not Unix. This is known as “recursive acronym,” because the letter “G” stands for the acronym itself. A year later, in 1984, Richard Stallman left MIT in order to concentrate on his project and established an organization called the “Free Software Foundation” (FSF). He wanted to institutionalize the idea of “sharing” which was so common during the 1960s and 70’s and create a social movement with a clear ideology, a movement whose members support and assist each other. Needless to say, the ideology encouraged people to create and share “Free Software”. Freedom 0: The freedom to run the program as you wish, for whatever purpose you have. Freedom 1: The freedom to study the source code of the program, and change it so it functions for you the way you want it to. Freedom 2: The freedom to make exact copies and give or sell to others when you wish. Why does Stallman emphasize freedom as a main and vital characteristic of a software? In all the years I have been working as a software engineer, I have read countless books and articles about software engineering, all full of advice and techniques for creating a “good” piece of software – but the word freedom was never mentioned in any of them. So what makes it so important, according to Stallman? Well, he believes sharing knowledge and ideas are the keys to innovation in software. A proprietary software, one where the user has no access to its source code, might be useful – but it contributes nothing to innovation; in fact, it even blocks it. Let’s assume that I am a programmer and that one day I realize that the software I am using – Microsoft’s Word, for example – could be significantly improved by adding some feature. This feature might be a major one – such as adding support for a new foreign language, or it might be a minor one, like adding a new icon. Since Microsoft won’t give me access to the source code of “Word,” there is no way for me to make those improvements. I could, of course, rewrite a better version of “Word”…but that’s not really practical. It would me years of work in order to create the software from scratch when all I wanted to do was add a single feature. This is a common example of how a lack of access to the program’s source code blocks innovation. The lack of freedom could also be harmful in other, less obvious ways. Stallman views controlling a software as a part of a power struggle between common citizens and the powerful forces of society – a class struggle whose terminology is almost identical to older social ideologies like Marxism. Stallman’s ideas regarding freedom and cooperation gained a lot of traction, and the Free Software movement became bigger and stronger. Its members organized conferences, published online magazines, and created group chats on the internet. Other programmers joined the movement in order to help him with the GNU project; which was more certainly needed since writing an operating system is a complex task that demands thousands of hours. But despite all the volunteering spirit, the cooperation and the help he got, in the early 1990s Stallman found himself facing a serious problem. Roughly speaking, an operating system can be described as having two parts: a “kernel,” and an “envelope” (also known as “application layer”). The envelope holds the software that computer users work with, for example, a calculator, file explorer, or a drawing software. The kernel of an operating system is the part that connects software to the hardware – the processor, the memory, the disk, and more. If we think of an operating system as a theater play, then the envelope is the stage, and the kernel is the mechanism behind the scenes: the lighting technician, the set manager, make-up artist and all necessary service providers that are needed to run the show. The GNU project was stuck in a technological quicksand that threatened the entire Free Software movement: although the envelope was ready, there was no kernel – and without an operating system, it is impossible to write free software – and writing free software was the whole point. As mentioned, Richard Stallman was just looking for a suitable replacement for Hurd, the failing kernel of the GNU project, and found Linux to be very interesting. The Linux operating system was completely new and therefore didn’t contain any code from Unix or other proprietary software – a necessary demand for any free software. 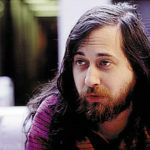 At first, Stallman was reluctant about using Linux since Torvalds announced that his operating system could only support a certain type of computer known as AT. This meant that Linux was limited to only one computer model and hence was not completely “free”. But two years later, when Stallman realized the advantages of Linux’s technology, he changed his mind and Linux replaced Hurd as the kernel of GNU operating system. Since then, the operating system is called GNU/Linux – to denote that the envelope is GNU while the Kernel is Linux. Adding Linux gave the GNU project a powerful tailwind. 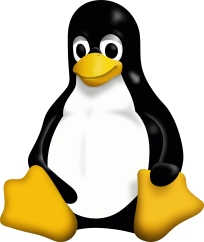 Linux was a very successful kernel, and together with the software developed by Stallman and his colleagues, it created a strong, sophisticated, and reliable operating system that proved the validity of Stallman’s ideas – that full cooperation of knowledge and ideas could produce quality software to compete against proprietary software sold by Microsoft and others. Many new members joined the Free Software movement, and Richard Stallman’s reputation as the prophet of this new and exciting movement was accordingly established. But even though Linux was an important addition to the GNU project, it also turned out to be somewhat of a Trojan horse. The significant changes Linux created, or to be more accurate – the changes brought about by the young programmers it attracted – were about to create a serious rift within the young community of the Free Software movement. This rift and its consequences will be the focus of our next episode. We will talk about the split that occurred in the Free Software movement which led to the establishment of the open Source movement. We will also answer the question – why is Google trying to kill Android? And we will also get to know Richard Stallman better – what does the guru think of modern software technology? You might be surprised to find out that he hardly ever uses it. In the previous episode, I introduced Richard Stallman, one the greatest hackers in computer history, whose bearded figure became iconic as the character of the Hollywood computer hacker. Stallman is also one of my biggest heroes – he has been an inspiration to me from the moment I realized I wanted to be an engineer. Stallman took upon himself the role of a “counterweight” to all users who prefer the comfort offered by proprietary software over the freedom of free software. On second thought, maybe I shouldn’t. A short visit to Stallman’s website gives a general clue about his militant character: the website is full of slogans and calls for activism, such as a call to resist oil drilling in the North Pole, a call to boycott Facebook due to its privacy issues, to boycott Apple, Amazon, the patent system, and even boycott Harry Potter since Stallman believes that J.K. Rowling, the author of the Harry potter books, is too greedy. In 1996, Stallman and his colleagues at the Free Software Foundation held a conference. The main speaker was Linus Torvalds. Interestingly enough, even though Torvalds contributed to the GNU project by letting Stallman use his operating system, he did not share Stallman’s ideas and ideology. Of course, he was thrilled to assist the GNU project –but unlike Stallman, Torvalds was more interested in the technological aspects of software engineering and operating systems, rather than the social aspects. On stage, Torvalds gave a speech where he said, among other things, that he loves using Powerpoint, Microsoft’s presentation software. For Stallman and his supporters, Torvalds’ words were nothing but blasphemy. They considered Powerpoint an abomination: a proprietary software by a company known for its ruthless business ethics. Using PowerPoint? !… Who would do such a thing?! Yet the message Torvalds put forth in his speech – intentionally or unintentionally – hit a sensitive spot among the younger crowd. At that point, the Free Software Foundation was over a decade old and many of its younger members grew up in a world much different than the world Stallman grew up in. During the 1960s and 70s, when computers were found mostly in academic institutions, free software was the norm while proprietary software was relatively rare. Torvalds’ generation grew up in the 1980s and 90s when having a computer at home wasn’t unheard-of. Proprietary software was all around, while free software was now rare. Of course, everyone believed in freedom and cooperation – but if you like a certain software and think it is useful, why not use it? Only because it is not free?? Many of the younger generation hadn’t “connected” to Stallman’s militant and strict message, and this inter-generational gap led to a crisis within the movement in 1998 – a crisis that ultimately led to a division, and the birth of the Open Source Initiative. As we all know, Open Source is a much more familiar and household name than Free Software – and we’ll get to the reasons for this, and the actual differences between these two terms in a few minutes. The rise of Open Source created an odd situation, perhaps even a bit surreal. “Most people who have heard of me have been misinformed and believe that I’m a supporter of Open Source. I get messages several times a week thanking me for my contributions to Open Source, and I have to write back to them and point out that there is a misunderstanding here. I support the Free Software Movement. At this point, it’s a good idea to introduce into the conversation one of the men who started Open Source. Although you might not recognize the voice, I’m willing to bet his name will ring a bell – at least for anyone who has been in the Hi-Tech industry for the last thirty years or so. He is Tim O’Reilly, founder of O’Reilly Media, which publishes a great many books on technological topics. He also one of the more influential thinkers in Silicon Valley, and popularized the terms Web 2.0 and – as we shall soon hear – Open Source itself. I asked Tim about his recollection of the pre-Free Software movement period. “It’s actually interesting that you start there because there is a narrative that it all started with Richard Stallman and the GNU Manifesto. My first encounter with Free Software predates the GNU Manifesto. I was a tech writing consultant and I started using UNIX. I was really deep in the UNIX culture of free software. It was this big collaborative barn-raising that built UNIX. Even though it was originally developed at AT&T, many of the key utilities were developed outside – particularly at UC Berkeley. I had become immersed in this culture and started documenting, filling in the gaps in the documentation for UNIX. I put together several documentation sets for clients. So, that was my world. It was the world of the shared community of UNIX. “Richard [Stallman] came along and said – ‘Copyright is Evil, so we’ve got this new thing called Copyleft.’ Here at Berkeley we just said – ‘Take our software to Copy Central and make copies of it!’ [laughing] that was the culture that I grow up in, like – hey, we’re doing this thing for research, we’re doing this thing to advance the state of the art and we’re giving it away to all commerce because it’s just this reciprocal gift culture. It was really a continuation, in my mind, of that UC Berkeley/Early UNIX culture, that was really just about advancing the state of the art without having the political overlay that the Free Software Foundation had. But again, for me, I was really influenced by the UNIX/Berkeley side. So in essence, Tim is saying that Free Software – or at least the ideas of free software – didn’t start with the GNU project and that Open Source has much deeper roots in the sharing culture of UC Berkeley, back in the UNIX days. The popularity of the GNU/Linux operating system clearly demonstrated the positive technical potential of Free Software. Still, there were many engineers and businessmen that doubted its financial basis: how can a company survive if it’s giving away its product for free? One of the reasons some businesses refused to adopt Free Software stemmed from an incorrect interpretation of the term “Free” in this context. Some people mistook it to mean the software was distributed free of charge – and what costs nothing, goes the idiom, is worth nothing. Of course, that wasn’t what Richard Stallman meant – he spoke of free as in freedom, not gratis. But some businesspeople didn’t or couldn’t understand the ideological nuances behind the idea of Free Software. In February 1998, a few developers and entrepreneurs met in California, in an organization called The Foresight institute. The catalyst for the meeting was a dramatic announcement by the Netscape corporation that had taken place a month earlier. The name “Netscape” was familiar to almost anyone who used the web in the 1990s: it was the owner of the Netscape browser, the most popular browser at the time. Netscape’s leaders were familiar with the ideas behind the Free Software Foundation – and believed in them. In an almost unprecedented step, Netscape decided to share the browser’s source code and invited programmers around the world to contribute to it and improve it. Netscape’s announcement stirred a great interest in the technology world; The California conference participants of the Foresight institute wanted to take advantage of Netscape’s announcement and use the media attention to spread the ideas of Free Software. They decided it was their duty to educate the business world about the real advantages of free software: to emphasize the technical advantages of an open development model over a closed one. To do so – they had to detach themselves from Richard Stallman and his ideological burden. This is where Tim O’Reilly entered the scene. In 1998 he organized a conference of some of the best and brightest minds in the software world: Linus Torvalds, Guido Van Rossum (the creator of Python), Larry Wall (of Perl) and many other luminaries. This conference is known today as the Open Source Summit, but it wasn’t called that in the beginning. “I built a lot of relations with the press then, and I also got this idea that telling a big story was the right way to advance the agenda. So in addition to bringing all these people together for this Freeware Summit, my goal right from the outset was: we’re going to tell a story about all these people who have this thing in common. But it was not actually until during the day at that meeting that I heard the term Open Source. We were talking about the naming issues, and Eric told about the invention of this term, Open Source, and actually there was quite a bit of push back! It sounds like ‘open sores’, it will never fly…but I said – look, we really want to have a common story, so let’s take a vote and let’s all agree that this is the term. So, everybody who was there, we took a vote and Open Source won. So we had a press conference at the end of the day and we introduced the term. The way the press conference was set up was, I just had all these people behind a long table, and we had people from the Wall Street Journal, the New York Times, San Jose Mercury which at the time was the paper record of Silicon Valley, Forbes, and Fortune. And I said, look – all these guys have an absolute market share in the category of software with no marketing budget, no company behind them, just on the strength of their ideas of this new development model and this model of giving away the software for free over the internet. It’s called Open Source. Tim’s initiative was a great success. The fact that so many opinion leaders and experts sponsored the Open Source initiative helped push it forward, and within a few years it eclipsed its big sister, Free Software. It’s hard to imagine our current technology world without GNU/Linux, WordPress, Android, PHP and many other software projects that are distributed with their source code. There are thousands of communities, large and small, devoted to software tools of almost every sort imaginable: from word processing to espionage software. Some projects last for many years – Linux is a great example – and some are a result of a weekend hackathons, fueled by pizza and soda. What Draws Companies to Open Source? At this point I think we should take a slight digression, you might say, and ask ourselves what draws big tech companies to open source their software – that is, to give it away for free? To help with this question I sat down recently with Jonathan Israel of Wix.com – a company that specializes in providing easy to use web building tools. “We promote open source projects, we organize conferences, we allow the people time to write blog posts and help them with resources such as tech writers. We’re pushing forward a lot of standards in open source project, as in your code needs to be documented, it needs to be clear, and we allow engineers that actually develop tools to help with their day-to-day work – to open source them, to allow the people to use the same tools, to learn from the mistakes that we had as a really big development group. R: Which brings me to an interesting question. I can understand why you, as developers, have an incentive to release what you worked on as open source. But what incentive does Wix as a company have for open sourcing code which its own developers worked hard for? J: There are two main reasons for that. The first one I already said and will say again. […] it’s the idea that they are first and foremost part of the engineering community. And so, they have a lot of incentive to open source what they are doing and we don’t think that’s a bad idea. On the contrary – you show people that the engineers who work here are engineers like any other place, and we don’t mind. It’s a good idea to show that we support the idea of open source, we support the idea of blog posting, we support the idea [of] sharing the knowledge. In other words, companies like Wix view the idea of sharing software not as a liability – but as an opportunity. By releasing software as Open Source, they encourage their developers to learn new things, be part of a greater community and feel more satisfied. In the process, these companies also brand themselves as leaders and positive forces of innovation in the world of technology. It’s a win-win situation that helped the open source community explode over the last few years. I admit that it was hard for me at first to understand why Stallman denies the Open Source Initiative – an initiative that exists mainly due to his early efforts. But looking closely at Stallman’s motives, I could begin to grasp the roots of his resentment. It is easy to let Stallman off the hook by saying that he is a rigid conservative ideologist who wouldn’t put his pride aside and admit that someone else marketed his ideas better than him. But is that really the case here? I am not so sure. Here is an example that might make you think twice about the way our modern technology world operates. It has to do with the Android operating system. As I said, it will make you think TWICE, since in fact there are two Android operating systems. In the late 2000’s, Apple set the tone in the smartphones’ market. When you said “smartphone”, you meant Apple’s iPhone. Google saw Apple’s success as a threat and wanted to gain at least some of the smartphone market share in order to sustain its control of search and other online services. Therefore, in 2006, Google initiated the Android Open Source Project, or ASOP for short – an operating system for smartphones developed by “Android Ltd,” which was bought by Google. A resourceful community grew around Android, with many developers who created new apps and modifications for the operating system. A quick jump to the present. The tables have turned: Android has the lion’s share of the smartphone market and is making Google a lot of money. However, its Open Source status has now become a disadvantage for Google. Since Android’s code is available to the public, nothing prevents a competitor from taking the code, modifying it a bit and then using it in its own smartphones or tablets. In fact, that is exactly was Amazon did! Amazon took Android, adapted it to its own tablets and created a competitive app store to Google’s Play Store. You don’t have to have a degree in business management in order to see that Google has no interest in providing other companies a with a “gift” like a ready-to-use operating system. But on the other hand, it’s also not in Google’s best interest to upset its developers’ community, the people who worked hard on Android all these years – so turning Android into a proprietary software was also out of the question. Google’s solution, then, was to slowly but surely “strangle” the Android Open Source Project. How? When users turn on their Android device for the first time, they find all sorts of basic and standard apps already installed on their smartphone: a Calendar, keyboard, camera, music player, and more. These apps are a part of the Android Open Source Project, and every phone maker who wants to use Android gets them for free as a part of the operating system. At the beginning, Google updated these apps on a regular basis – but over the last few years, Google stopped updating the open source apps. Instead, it released new, proprietary apps, substitutes for the old ones. The SMS application, for example, was replaced by Hangouts. The music app was replaced by Google Play Music, and the same goes for the calendar app, the camera app, the search app, the keyboard and more. The new apps are being updated frequently while the old ones slowly rot away, neglected. For example, the proprietary version of the search app has a voice recognition ability, and can read search results out loud. The open source version for the same app supports text search and nothing else. Now let’s put ourselves in the shoes of a cell phone manufacturer, Samsung for example. Android is an open source software, so Samsung could use it “as is” – it doesn’t need Google’s permission. But what Samsung will get is an inferior operating system with some aging apps. If it wishes to have the newer, proprietary apps – it needs to strike a deal with Google and pay whatever needs to be paid. The final outcome is that Samsung and almost all other smartphone makers are tied to Google in “golden chains” and cannot compete with it. And if there is no competition – the customer is almost always on the losing side. Honestly, I don’t blame Google. If I were in Sergey’s Brin shoes – I’d probably make the same business decisions, and that’s exactly what Stallman is saying. In his view, companies like Google adopt the Open Source policy for the financial benefit it offers. But as soon as that benefit disappears, they happily abandoned it. Had Google, for example, adopted the Free Software ideology of maintaining the user’s’ freedom, encouraging innovation, and so on – it might not have backed down from it so easily. Tim O’Reilly, however, completely disagrees with this assumption. “I think they are completely orthogonal. The morality of a company is not encoded by a license that compels them to morality. If we are compelled to morality – it’s actually a much shallower morality than one that seems us all as members of the same species, all members of the same body. If you think that way, you will act morally. Richard Stallman still leads the Free Software Foundation as its president and continues to warn against the dangers of proprietary technology. I must admit that Stallman made me think. I have always been a sworn fan of any kind of technology and was the first to buy every new gadget and cool app. I never gave a second thought about my freedom of choice, the right of innovation, or other issues Stallman cares about so dearly. I’ll probably be more aware of these matters in the future, and they may affect my purchasing decisions. But how far will I go with my inner truth? 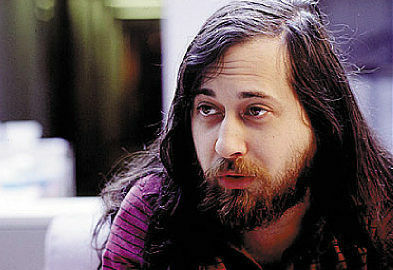 Richard Stallman, as he was during the 1970s and 80s, was an inspiration. A mythological hacker. A man who breathed ate and slept technology twenty-four-seven. But Richard Stallman of 2016 doesn’t own a smartphone or tablet and doesn’t listen to MP3 music files. Stallman seems to be afraid of technology. For me, it’s like hearing Superman confess that he’s afraid of heights. This may sound like an impossible choice to make: should I give up my love for technology, or should I give up my freedom? I fear that if Stallman is right, a day might come when I will actually have to choose. I fear the day when I will find out that I am not brave enough to make the right choice.